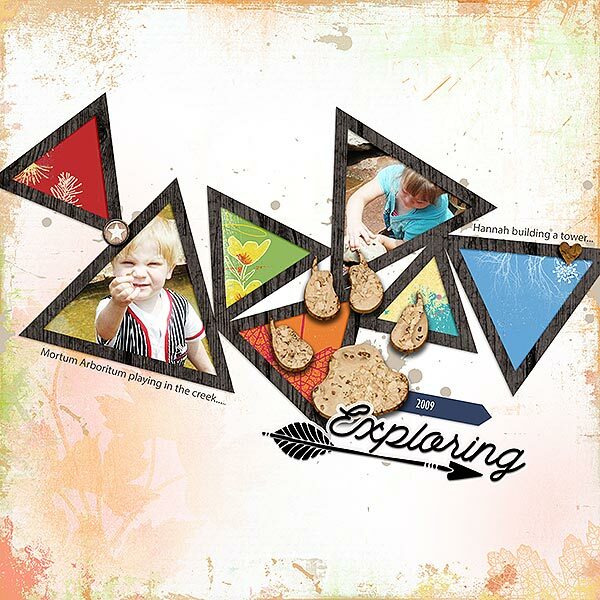 Here are four templates for digital scrapbooking. These designs feature cut out paper designs. Two designs have a tile mosaic style - one square and one circle. 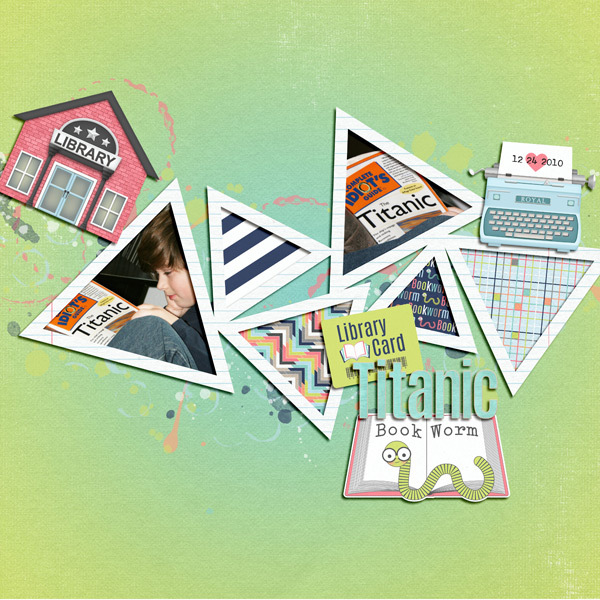 One design has several tumbling triangles, filled with papers or photos. And the fourth design has a large square with radiating strips filling the background. 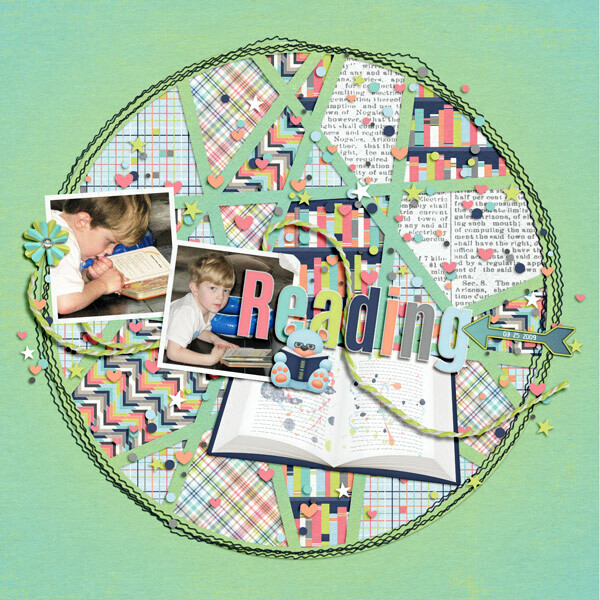 There are between two and five photos on each page and journaling on paper strips. These designs coordinate with the April 2018 BYOC.